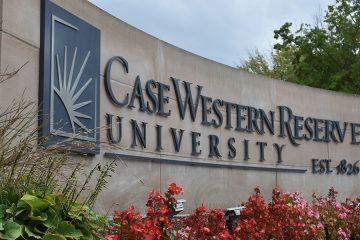 Case Western Reserve fell five slots to 39th in this year’s rankings from a collaboration between The Wall Street Journal and Times Higher Education (WSJ/THE) publications. Now in its third year, the list is touted as an accounting of the factors most important to prospective students and their families—specifically, their learning experiences on campus, and outcomes after graduation. In 2017, the school stood at 34th, while in 2016—the inaugural year—it was 37th. On a scale of 0 to 100, CWRU scored 99.8 in salaries (in other words, pay much higher than expected) and 89.6 in loan default rates (defaults much lower than expected). 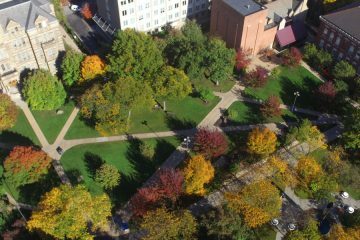 CWRU’s other particularly high score came in “finance per student,” which tallies a university’s overall spending on learning, divides the amount by the number of undergraduate and graduate students, and finally adjusts for regional variation in prices. The university’s total for this category was 99.4. The university’s lowest score—6.6—came in the category measuring the proportion of Pell Grant recipients and first-generation students. Other low marks came in international reputation, faculty diversity and papers published in peer-reviewed journals per faculty member. The full results can be found on the Wall Street Journal website.